Surrounded by beautiful hills, forests and streams we have walks for all your dog's needs. Clun Castle is on our doorstep offering a short jaunt for a little leg stretching. Or head up the hill to Bury Ditches, one of Britain’s oldest hill forts, for a longer hike. There are so many walks to choose from right outside The White Horse Inn and even more if you want to drive out. There are the Shropshire Way, Offas Dyke, The Long Mynd various hill forts great places for on and off the lead. 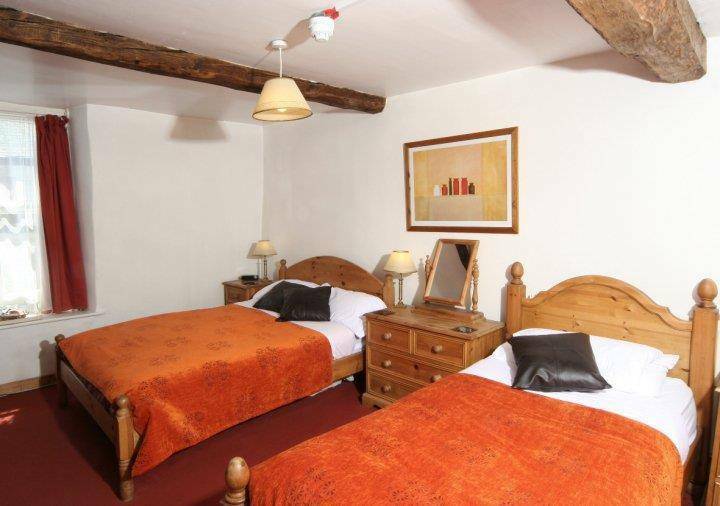 Come for a friendly, comfortable stay at our lively, country inn. 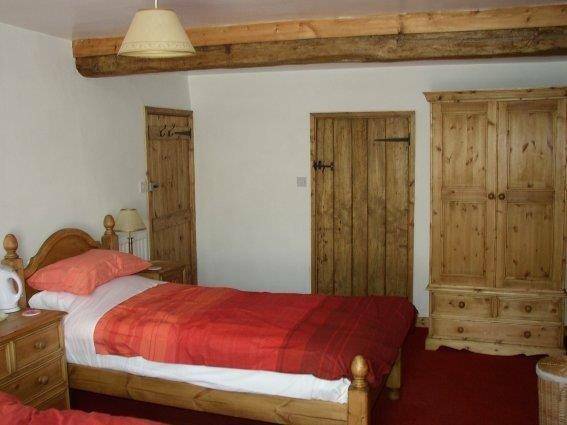 You have four rooms to choose from colour coded and easy to remember. 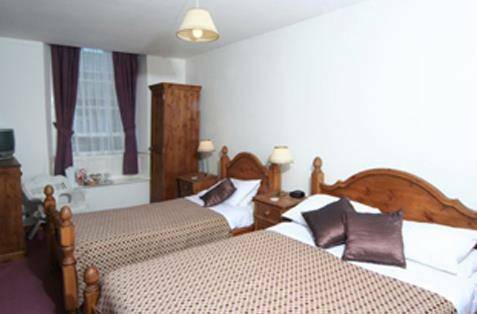 All rooms have TV, Shower, En suite and Tea making facilities. 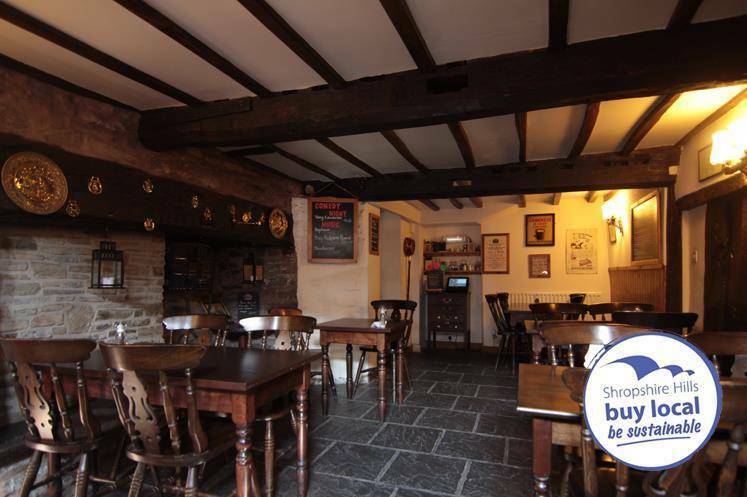 We specialize in local real ales and serve food predominantly from local suppliers. We are a great destination for people wanting to stay in this beautiful unspoilt part of the country. 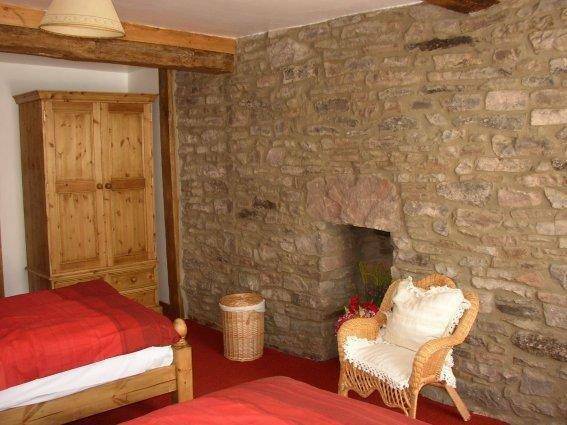 Situated in the Shropshire Hills an Area of Outstanding Natural Beauty (AONB). We are surrounded by beautiful countryside perfect for touring around on foot, bicycle or car. 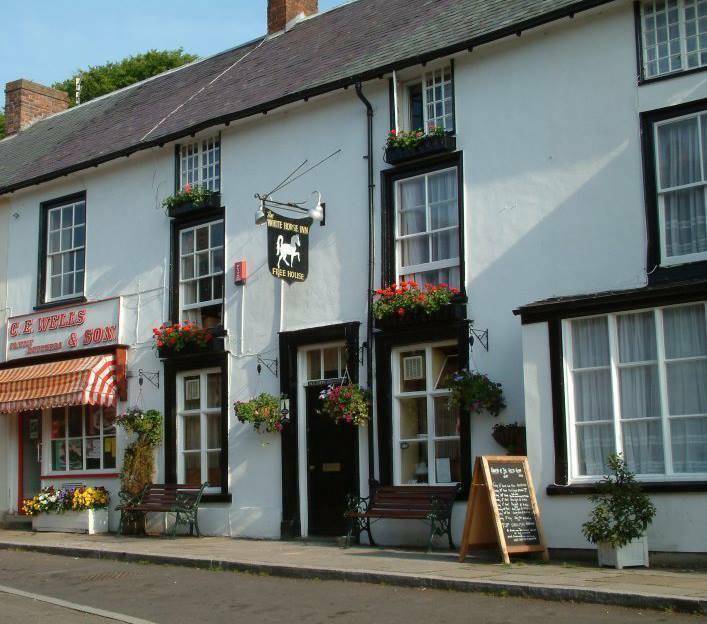 Close to the Market towns of Ludlow, Bishops Castle and Knighton, there is no shortage of high quality retail therapy. 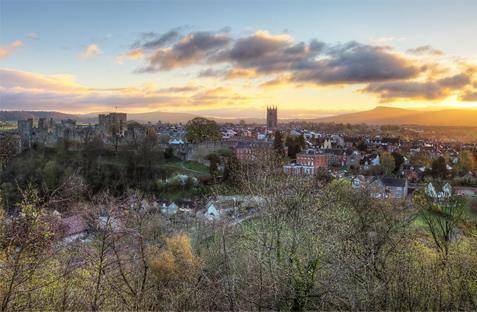 Knighton, Ludlow and Church Stretton boast impressive Golf Courses and Ludlow Racecourse is also within easy reach. 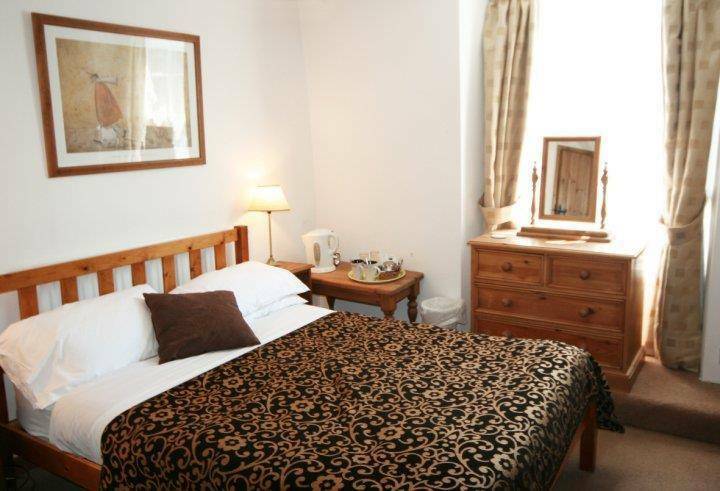 Our accommodation has been awarded English Tourist Board 3 stars (INN) and has reached the criteria for Cyclists and Walkers Welcome. We must warn you that we are a lively pub and do serve drinks until midnight on Sunday to Thursday and until 1am on Fridays and Saturdays. Some noise can be heard in the rooms. 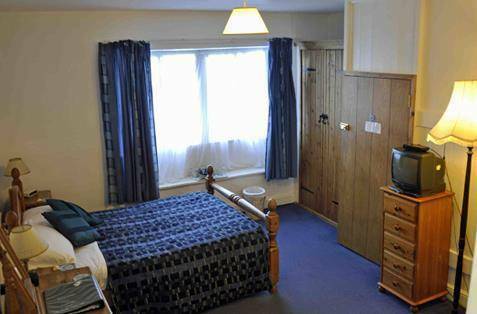 You are welcome to share all our rooms with your canine companion but The Red, Blue and Purple rooms give a bit more floor space to stretch out. There is always a bowl of water available for refreshment and a log burning stove waiting on cold, damp days to dry off by. You can eat and drink with your dog in our bar area too. 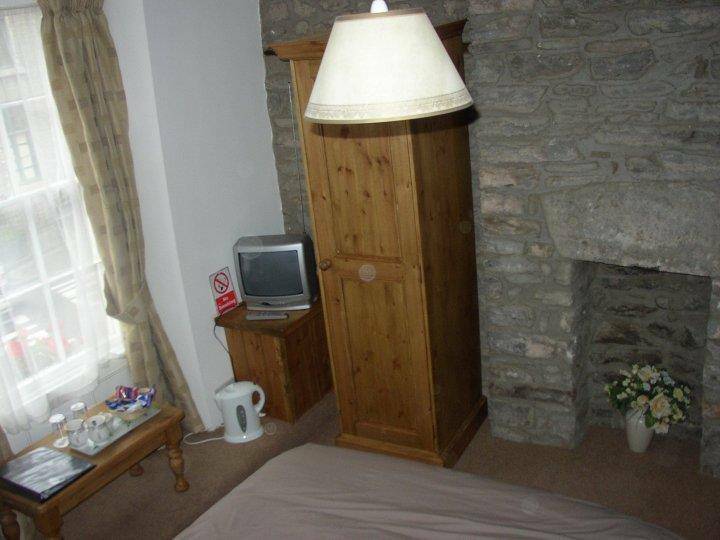 We do ask that you bring your own bed, bowl etc. with you. If you do get stuck we should be able to help you out, Dave our Wollie (weimeraner / collie x) usually has some items that he will loan out.